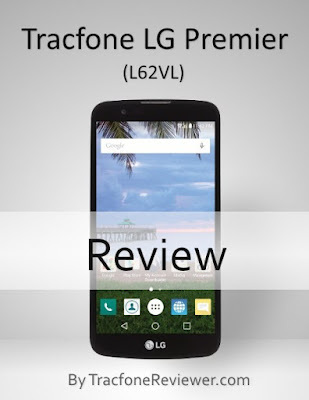 This post was created by TracfoneReviewer to give a side by side comparison of several new Tracfone LG smartphones. We share lots more Tracfone information here, so take a look around. 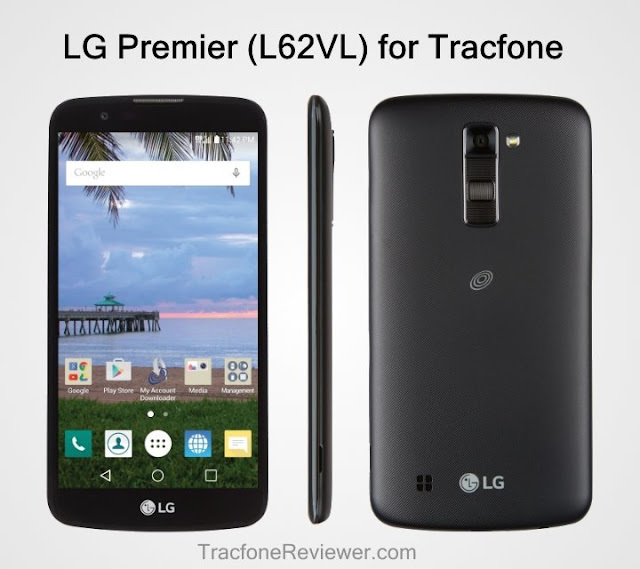 Tracfone has released a full line of new LG smartphones over the last few months. We've reviewed each of these phones, but also wanted to create a quick comparison to help highlight the various differences and similarities each of these phones share. We often get questions asking whether phone 'a' is better than phone 'b' and it isn't always easy to give a straight answer. With this comparison of these LG smartphones we hope consumers will be able to see the key differences for themselves, and determine which phone is right for them. Obviously there are a number of other great Tracfone smartphones also available, so don't limit yourself just to these phones. Take a look at our Cell Phone Reviews page for more. The Treasure, Rebel, Premier and Stylo 2 are all from the same LG line (released by LG in early 2016), with a handful of differences. The Stylo 2 is the most expensive, but also has the largest screen and other features. The Rebel is the cheapest, and comes with the smallest screen. Below is our comparison chart to show exactly how these phones differ. There are a number of similarities as you can see, including RAM, internal memory, and Android OS version. Let's take a closer look at each of these differences. Screen size is the most obvious, and ranges from 4.5 inches on the Rebel, to 5.7 inches for the Stylo 2. If you know what size screen you might prefer, it makes it easy to choose which one to buy. 5 to 5.3 inches is a good size for many people, as it balances between bulk and larger viewing surface. But some may prefer a much larger, or smaller screen size. The front a rear cameras on these four LG phones also differ, with better front and rear cameras coming with the LG Premier and Stylo 2. Network compatibility is an important difference to note as your area may only be compatible with one network. Note that the LG Rebel has two versions available, one with GSM compatibility and the other with CDMA compatibility. Finally, the price also changes depending which device you choose. The Treasure and Premier are currently available for a similar price, but we expect the price to go up a little for the Premier. You can see the key specifications for the LG Ultimate 2, LG Lucky and LG Sunset above along with the other LG Smartphones. The Ultimate 2 has been discontinued by Tracfone (meaning they don't sell it anymore, but you can find it on Amazon and eBay) but the Lucky and Sunset are both still widely available. We wouldn't recommend buying the LG Lucky or Ultimate 2 unless you understand the limitations. For the price, the Lucky is a great deal for an Android device. However, if you want to use this as a daily smartphone and run a variety of apps, you will probably be frustrated with the low memory and lack of performance. The Ultimate 2 was the best Tracfone device at the time it was released, but it has been available from Tracfone since 2014 and is somewhat outdated. The LG Sunset actually compares pretty well with several of the newer LG phones like the Treasure and Rebel. If you've got the Sunset already, you may want to wait for something more advanced to be released before upgrading. Join our Facebook page where we share the latest news, updates and deals. You can also post questions to our wall, or message us directly. If you're ready to buy a smartphone, but unsure of the activation process, read our recent Guide to Activating Tracfone Smartphones and BYOP Devices where we include a step by step walk through, and helpful tips. The iPhone 6 and 6 Plus are now Available for Tracfone and we've shared details on where to buy, prices and features. Follow the link to learn more. 4 Ways to Check your Tracfone Airtime Balance on Smartphones is another recent post many of our readers find helpful. Finally, take a look at our Comparison of Tracfone Smartphone Airtime cards to Regular Airtime Cards and see which is a better deal. Welcome to TracfoneReviewer! 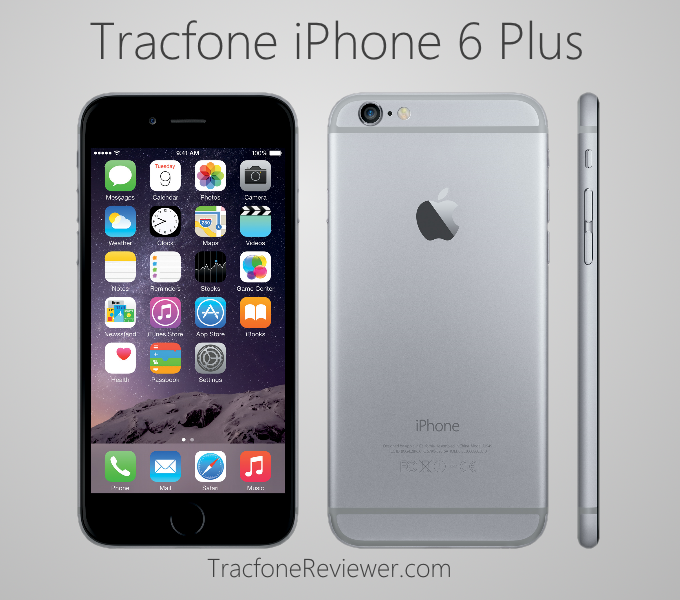 Below you will find details about the iPhone 6 and 6 Plus available from Tracfone. Be sure to also check out the rest of our blog which features plenty of other helpful Tracfone related information. Two new Apple devices have been released by Tracfone as they continue to offer a wider selection of smartphones to use on their prepaid network. The iPhone 6 and 6 Plus were first released in 2014, but have a number of great features that still makes them relevant today and desirable for many Tracfone users. Two of the most popular features on the iPhone 6 and 6 Plus are the 8 MP rear camera which can capture slow motion video at 240 fps and the fingerprint sensor for securely locking and unlocking your device. Tracfone also recently released the iPhone 5S, which also has an 8 MP camera, but no fingerprint sensor. It is available from Target for $199, and from the Tracfone website for $149, Visit our Tracfone iPhone 5S page for more details. 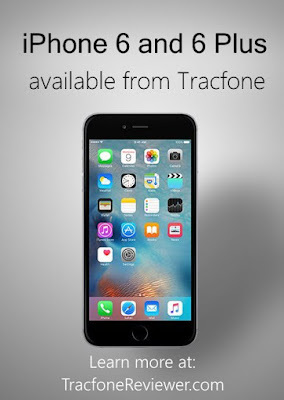 Tracfone users have already been able to use the iPhone 6 and 6 Plus with Tracfone by using the BYOP program. This is still a good option if you can find a deal on the phone, but Tracfone's prices for the 6 and 6 Plus are actually quite reasonable. Tracfone has the iPhone 6 16GB version available in black or white, and the iPhone 6 Plus 16 GB version also available in black or white. Let's take a closer look at some of the features and specs for these phones. A larger screen and improved camera are two of the upgrades the iPhone 6 has over the 5S. With the 6 you can record HD video at 240 fps for smooth slow motion shots. 16 GB internal memory is not a lot of space these days, but better than the majority of other Tracfone devices. Let's look at the 6 Plus now. Size: 6.22" x 3.06" x 0.28"
As you can tell, most of the features and specs on the 6 Plus are exactly the same as the 6. Some of the differences include the screen size and battery life. The 6 Plus comes with the same camera, internal memory, RAM and processor. With each phone you also get Apple EarPods with mic and remote, Lightning to USB cable and USB power adapter. If you like a larger screen on your smartphone like most people, the iPhone 6 Plus is well worth the money for the improved touchscreen. As a bonus, you also get longer battery life. A big draw for many is the camera on the iPhone. The quality is quite good and some of the features include phase detection autofocus, dual-LED flash and Optical Image Stabilization for the 6 Plus. If you're really curious about the image quality, take a look at GSMArena's Photo Quality Comparison for the iPhone 6 vs 5S vs Samsung Galaxy S6 (The Galaxy S6 is also available from Tracfone for just over $500 and has a 16MP camera, 32 GB memory and 3 GB RAM). You can record 1080p HD video, or slow motion 240 fps at 720p. There are plenty of video samples on YouTube from the iPhone 6. 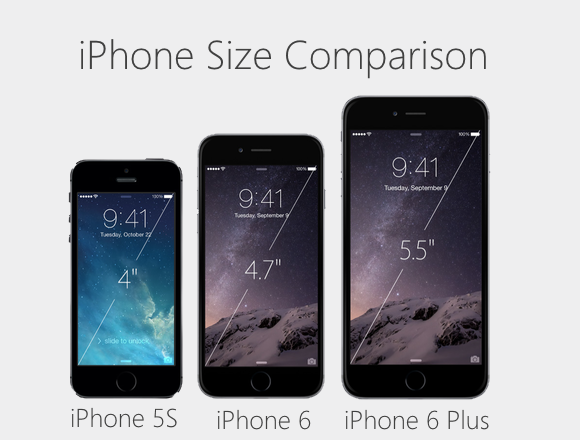 Overall both the iPhone 6 and 6 Plus are good devices with a lot of great features. While the specs are not very impressive compared to similarly priced Android phones, the performance is good with iOS. The iPhone 6 is available directly from the Tracfone website and is retailing for $399 which is actually quite a good deal as unlocked versions of the phone are selling on Amazon for about $500. The 6 Plus is also available from the Tracfone website and is selling for $499, also a good price. Unlocked versions of these phone are available on Amazon for above $500. To purchase these devices simply navigate to www.Tracfone.com and click 'shop for phones'. Follow the prompts to enter your ZIP Code to check your coverage and then you should see a list of available Tracfone devices. If you don't see the iPhone it may either be out of stock or unavailable in your area. We believe the Tracfone iPhone 6 and 6 Plus will both use CDMA networks like the 5S, but have not been able to confirm this. We have also noticed that the iPhones will show up even in GSM areas, so perhaps two versions are available. We will continue to update this as we gather more information. We expect Tracfone to also release the iPhone SE, iPhone 6S and iPhone 6S Plus sometime in the near future, but no news on exactly when. Visit our post on Apple iPhones coming to Tracfone to learn more. We hope this information is helpful and please leave a comment with any thoughts or questions. You can also join us on Facebook and post questions to our wall, or message us directly. If you're not sure about the Tracfone activation process, we created a Guide to Activating Tracfone Smrtphones or BYOP Devices. Also have a look at our 4 Ways to Check your Tracfone Airtime Balance on Smartphones. Welcome to TracfoneReivewer, a blog dedicated to sharing news, information and advice about Tracfone Wireless. If you're new, be sure to take a look around the site and see some of our other posts. 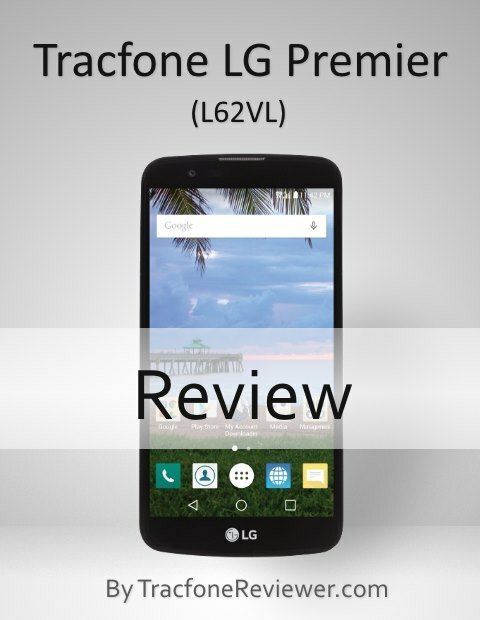 In this review of the LG Premier we will share the full specs and features, and also compare the Premier to the LG Rebel, LG Treasure, and LG Stylo 2, which are all currently available from Tracfone. Take a look at our list of New Samsung and LG Phones coming to Tracfone to see the full lineup. There are also several different iPhone's coming to Tracfone as well. In fact, you can already get the Tracfone iPhone 5S from Target. The Premier has several great features, but, like most Tracfone smartphones, it struggles with both internal memory and RAM. The low internal memory simply means you can't store as many apps or photos on this phone, while the low RAM means you can't run too many programs at once. If these are big concerns for you, we suggest taking a look at the wide variety of smartphones you can use with Tracfone BYOP. Keep in mind that airtime works a little different on Tracfone smartphones. Prepaid airtime is split into three 'pools' of talk, text and data. When you add airtime, you get a certain amount of each. Regular Tracfone airtime cards will triple on Tracfone smartphones, but the new smartphone-only cards do not triple. Learn more about how this all works be reading our Comparison of Tracfone Airtime Cards and How they Work. Checking your airtime balance isn't as easy to do on Tracfone smartphones, but we've created a guide with 4 ways to check your Tracfone Airtime Balance if you need some help learning how to do that. Visit our Tracfone Smartphone Activation Guide if you would like some tips and advice on the activation process with Tracfone. Our Cell Phone Reviews page page is a great place to start if you're searching for a new phone. it lists all of our cell phone reviews in one place. We've also shared information on How to Buy Only Texts for your Smartphone and also How to Add More Data to your Tracfone Smartphone for those who tend to run low on these. Every month TracfoneReviewer posts the latest promotional codes for Tracfone here on our blog. Below you will find just the promo codes for September 2016. For a larger list of codes, visit our main Tracfone Promo Code page. 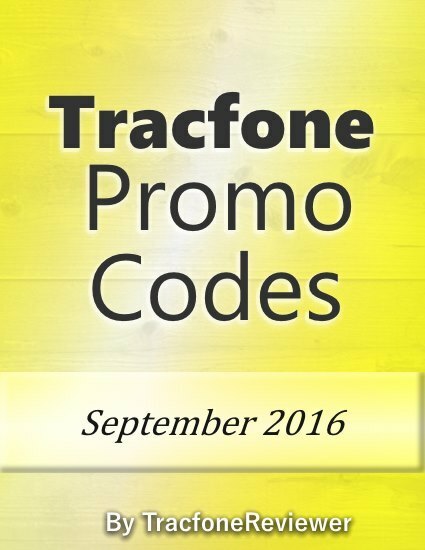 September is here, which means fall is around the corner, kids are back in school, and new promo codes for Tracfone are available! Tracfone releases these promotional codes for consumers to use when adding airtime to their phone as an incentive and nice bonus. When adding airtime to your phone, simply choose the best code from our list below and enter it in the 'promo code' space (if you're using the Tracfone website). Promo codes don't always work, some may work only once, and they are sometimes geographically limited. Also remember that promotional codes won't work on Tracfone smartphones or phones on the BYOP program. If you are considering a smartphone, we just created a Guide to Activating or Transferring to a Tracfone Smartphone which you may find helpful. Also check out our Cell Phone Reviews page for our full list of reviews including both smartphones and non-smartphones. Now, let's get to these new coupon codes! These codes are valid through the month of September, but may not work for every phone. 1 year/400 Minute Card use code 78415 for an extra 250 airtime minutes! These are the newest codes for each airtime card for Tracfone. Remember that Smartphones with Tracfone cannot accept promo codes. We hope you found a code that worked, let us know in the comments! If you're wondering about the new smartphone cards Tracfone is now offering, take a look at our Comparison of New Smartphone Only Cards to Regular Airtime Cards - whats the best deal?